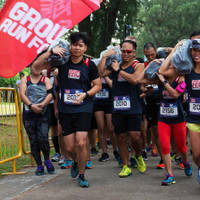 Organised by Mercy Relief, Singapore’s leading independent disaster relief agency, Ground Zero Run for Humanity challenges participants with the simulated experience of a survivor’s journey from ground zero to collect urgent supplies needed in the aftermath of a natural disaster. Do your part. Sign up today to run for humanity. • Competitive • Compete within 80 mins. • Non-Competitive • Carry a 5-10kg relief pack. • Non-Competitive • Parent + child tag team. All participants are required to collect their Race Entry Pack before the race.Participants will need to bring along a Photo ID and a printed copy of confirmation slip for the collection of Race Entry Pack. The Organiser reserves the right to refuse participants without the required documents from collecting their Race Entry Pack. You can collect it on Race Day. Otherwise, we recommend that you authorize someone to collect it for you during the assigned collection days. Explore the Deployment Tent to see the interior of a relief field tent and items we use on the ground. Take a walk with us at Glimpses from the Ground – a selection of photos from the field and the communities we serve. Visit the Ground Games to take part in interactive humanitarian games. 1. Can I bring pets along? 2. What happens if I am injured during the race or unable to finish it? Should you be feeling unwell or injured, please approach the nearest first aiders deployed along the route or the medical tent at the Race Village. 3. What if I cannot finish the 10KM Race Against Time course in 80 minutes? Don't worry! The time of 80 minutes is a goal for participants to strive towards, not a requirement. 4. Is there a baggage deposit? There will be no baggage deposit on race day. We advise you to travel light. 5. Will I get a race timing? Only 10KM Race Against Time Participants will get their race timings. 6. What happens if I am injured during the race or unable to finish it? 1. What is the symbolism of carrying a relief pack during the run? During the acute phase of disaster response, Mercy Relief provides emergency supplies in the form of relief packs to disaster-hit communities. Many of the villagers typically have to walk several hours to and from the relief distribution point to collect the relief packs, each of which typically weighs 5kg to 10kg. These packs can contain rice, oil, salt, hygiene and sanitation products or medical supplies. The 5KM Relief Aid Challenge is a non-competitive category in which participants get to experience what it is like for the survivors of natural disasters who walk long distances across challenging terrains of a disaster site to collect relief packs. 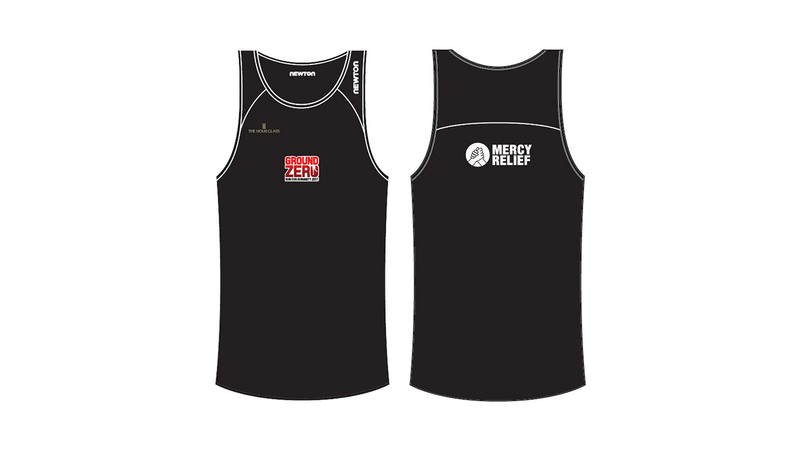 Participants in the 10KM Race Against Time may also carry a relief pack (while supplies last). Families participating in the 1KM Dash for Humanity will be provided 1kg relief packs for the race. - Participants have to carry a relief pack (5kg to 7kg) for the entire 5km distance. - There is an option to sign up as a tag team of 2 pax. Team members can take turns to carry the relief pack for the full 5km course. - After the event, all relief packs will be distributed to low income families in Singapore, in observance of World Humanitarian Day on 19 August. 3. How do I carry the relief pack? We recommend hugging the relief pack close to you! This might be the easiest and most convenient way to transport it. 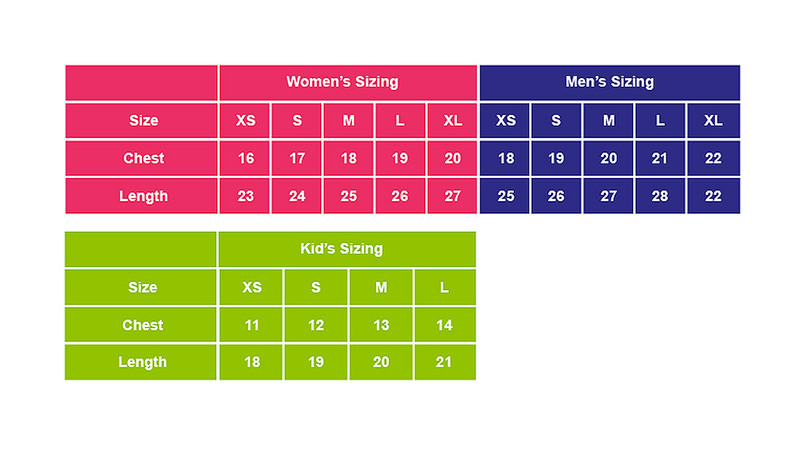 Simply support the base of the pack with both arms for maximum comfort. Trust us, you don't need special skills for this one. All it takes is a little balance, some strength and you're all set to go! For those in teams of 2, you can take turns transporting the pack or even carry it together! As the team saying goes, "Together, everyone achieves more!" 4. Can I carry my relief pack in a bag or back pack? 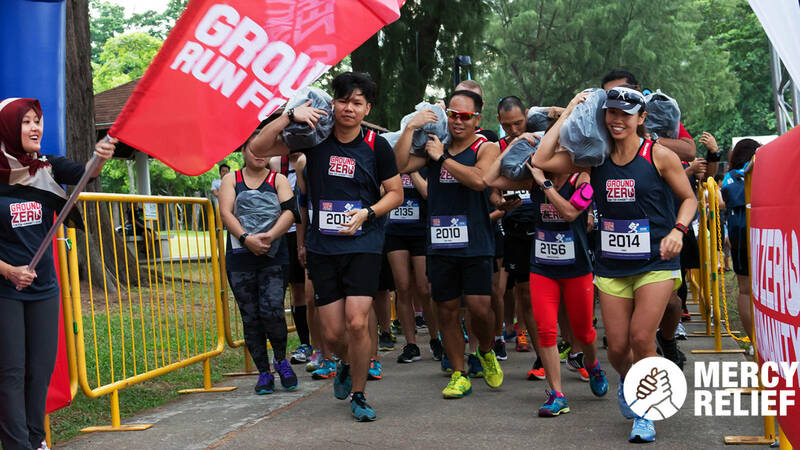 We do not recommend bringing your own bag to carry the relief pack, as the experience is meant to simulate the experience of disaster survivors and challenge the run participants. 5. Is there a time limit to complete this challenge? The Relief Aid Challenge is a non-competitive category which runners can complete at their own pace, as it is meant to reflect how villagers from a disaster event have to walk several hours to and from the relief distribution point to collect relief packs.